Half Past October: Birthday Celebration Giveaway! I've been planning this giveaway for a while for several reasons; I recently passed 3,500 friends on Instragram, I've been blogging for seven years, and my fabulous Facebook group of lovely friends who are as addicted to k-beauty as I am recently passed 6,000 members (soon to surpass 7,000). I am so overjoyed by all the support, love, and kindness everyone has shown me over the years, so I wanted to do something really special to thank you all for sticking with me. My birthday is coming up on April 13th - and I will, begrudgingly, be turning 31 this year. Teenage me didn't think this day would come. Depression is an evil mistress, and one that I still struggle with. This year I want to celebrate hope, friendship, and self-care. Here on my blog I am giving away some of my favorite products right now - enough to put together a full routine. Doing my skincare routine each night gives me a time to calm my nerves, to forget about the day, and to love my skin. I want to give someone else this gift. In addition to my giveaway here, I am also giving away a set of sheet masks on both Instagram, and in my group - Asian Beauty Skincare Addicts, on Facebook. I wish you all the best of luck, and thank you for taking the time to enter my giveaway! This blog is not responsible for prize delivery - once shipped, the package is out of my control. This blog will pay for for shipping of the prize, but the winner is responsible for any customs charges or import duties that may be implemented by their country. This blog is not responsible for adverse reactions to product(s) or ingredient(s) in prize. Giveaway ends April 13th at 11:59pm cst. A winner will be drawn within 7 days, and will have 48 hours to respond to my email with a shipping address. Just noticed that you've stated that the giveaway ends on February 28? Either way, thank you for putting together such an awesome package and I totally relate to your feelings! I've found that everyone I've talked to about Kbeauty or Asian beauty has been nothing but SUPER helpful and SUPER generous. From samples to decants, to even paying it forward with full-sized products... it's been amazing. Makes me want to start my own blog and pay it forward with products as well!! Happy birthday! Thank you for the amazing giveaway! Thank you for this great Giveaway, you choosed awesome products! Happy (early) Birthday! I love reading your reviews, they are informative and helpful. Happy advanced birthday! 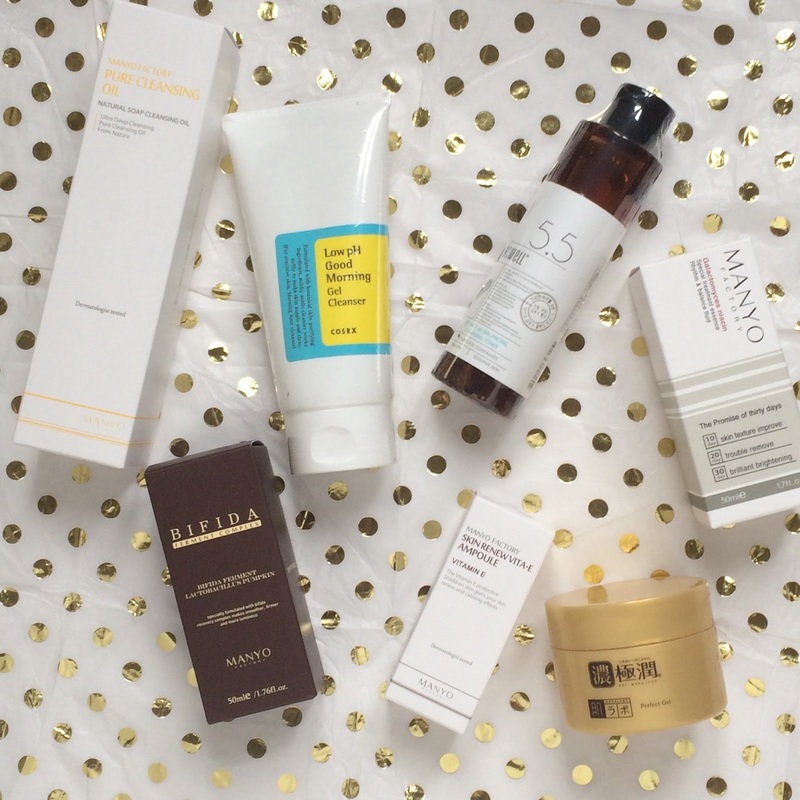 So generous to gift a full skincare routine to someone! Happy early birthday, Samantha! Thank you for sharing your experiences and wisdom with all of us.